The emergence of the smart home coupled with the increased use of portable smart devices has signaled the ushering in of a new digital era. Every new technology is a beginning of something new, something revolutionary. Just as our phones have evolved to become multipurpose smart devices, our homes are evolving too. Today, smart technology is influencing our day-to-day lives, not just homes. The smart home revolution has brought with it several smart home technologies, one of which is home security solution. A smart home uses internet-connected devices to interact with the smart home security devices such as alarm systems, access control, and security camera. When talking about smart home security systems, the two big names that come to mind are Nest and Arlo. Both are the two big players in the smart home market, especially home security solutions. Home security is the biggest concern these days for most homeowners and with petty crimes such as thefts and burglaries on the rise, people are looking forward to smart home security devices to protect their homes. Both Nest and Arlo are among the best security cameras on the market with significant brand recognition and popularity. But which is better? We pit Nest and Arlo against each other in the security camera arena. 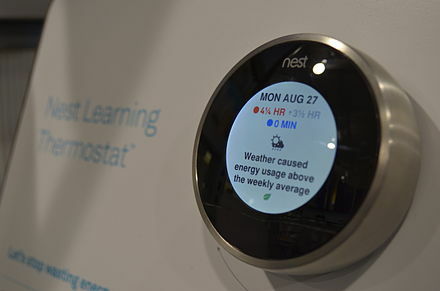 Nest is a California-based home automation company that started off with self learning thermostats and smoke/carbon detectors but over the years, become a whole ecosystem built on a wide range of smart home products, including home security systems. Two Apple engineers Tony Fadell and Matt Rogers founded the company in 2010. Nest offers a variety of smart home devices and can be paired with the Google smart home platform. In 2014, Nest acquired the security camera maker Dropcam and since then, Nest began to integrate its products with Dropcam’s advanced surveillance capabilities. And since Nest is always connected to the Internet, it can push software upgrades to your device automatically, keeping you up-to-date without much of the hassle. 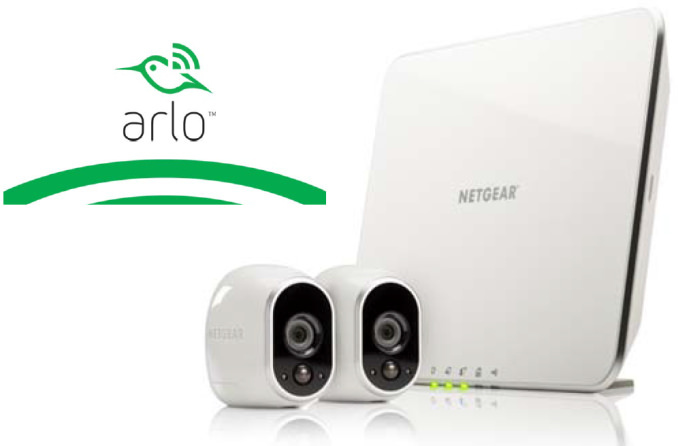 Arlo by Netgear is one of the most popular and leading names in the smart cameras ecosystem, especially with its smart line of home security cameras. The home security system of Netgear is quite similar to Nest Cam but with its exceptionally smart features such as wireless mounting and free cloud storage, it sets itself apart from the home security system race. Arlo already gained a significant momentum in the smart home market with its 100% wire-free indoor/outdoor home security camera, Arlo Pro. And a year after releasing the first Arlo Pro, Netgear upped the ante yet again with its next flagship, the Arlo Pro 2 – the next iteration of the Arlo Pro. The best thing about the Arlo Pro 2 is that it provides 7 days of free cloud storage. – The key difference between Nest and Arlo and the biggest advantage of the Arlo Pro 2 over the Nest Cam is wireless capability. The Arlo Pro 2 is a 100% wire-free, weather-resistant home security camera for both indoor and outdoor purposes. It gives you the best quality home security without worrying about running power cords to the camera or the unnecessary clutter of wires running all over the house. It also saves a great deal of installation time and energy drilling holes at every corner. Unlike Arlo, Nest Outdoor Cam is not wireless. – Nest Cam doesn’t store recordings on a memory card; instead, it uploads the video footage continuously to the cloud. However, the Nest Cam only allows you to view the last three hours of video footage in snapshots or static images. No audio or video is stored. For continuous cloud storage history, users have to pay $10 a month for 10 days worth of history and $30 per month for 30 days history. Arlo Pro, on the other hand, provides free cloud storage for a whole 7 days meaning users can watch 7 days worth of video history. – The Arlo Pro series of security cameras come with a base station which securely connects the Arlo Pro cameras to the internet via your modem/router, which in turn provides long range connectivity and several other features including a 100+ decibel siren alert which goes off when the camera(s) detect any kind of sound or motion. The siren can also be triggered remotely. The sound is insanely loud. Nest Cam, on the other hand, does not come equipped with any kind of siren alert as such. So Arlo Pro is the clear winner when it comes to security. – Both the security cameras allow you to setup activity zones to monitor a specific area of interest and notify you when it detects any kind of motion there. Each zone can be custom selected based on shape, color, and size for better security. If the camera detects something outside the set activity zone, it’s programmed to ignore it. You can create up to three activity zones for each camera. However, the only difference between Arlo Pro and Nest Cam is that users have to subscribe for the monthly subscription plans with Nest, whereas it’s free with Arlo Pro as long as the cameras function. Both Nest and Arlo are the two most popular names in the home security arena, especially security cameras. Nest’s flagship home security camera is the very popular Nest Cam, whereas Arlo’s flagship is the Arlo Pro 2. While both the devices are among the top-selling products in the security camera segment, they have their fair share of pros and cons. While Nest is the ideal choice for outdoor mounting, the smart features and extra battery life of Arlo make it the most preferred choice for indoor security. Arlo, however, provides 7 days of free cloud storage which also accounts for its higher price. Sagar Khillar. 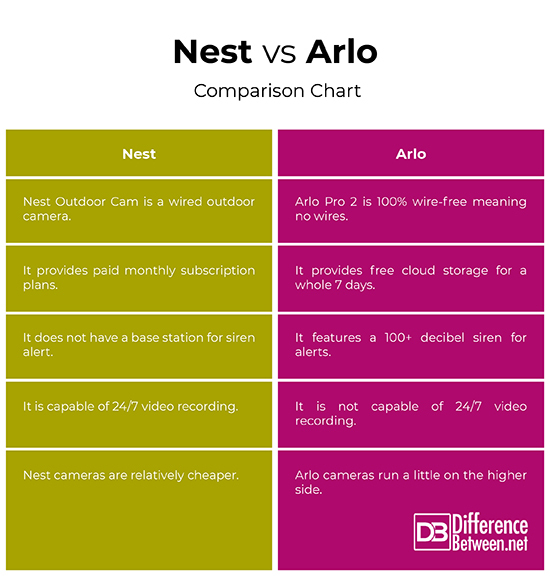 "Difference Between Nest and Arlo." DifferenceBetween.net. November 19, 2018 < http://www.differencebetween.net/technology/difference-between-nest-and-arlo/ >.